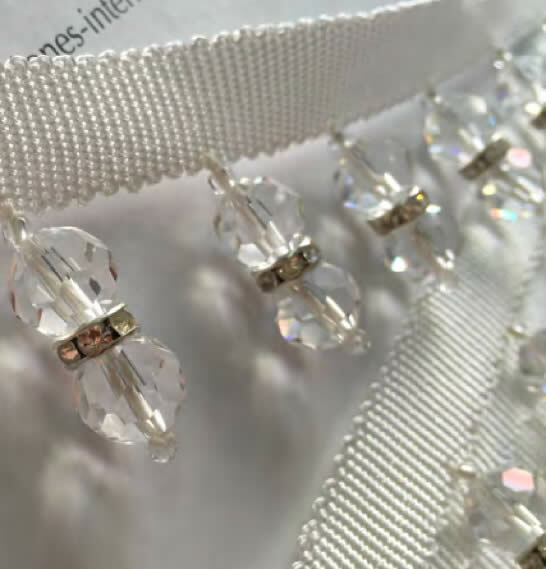 Available later this month, our Palais tieback with diamante lined header emulates the sparkling reflections associated with any elegant ballroom. 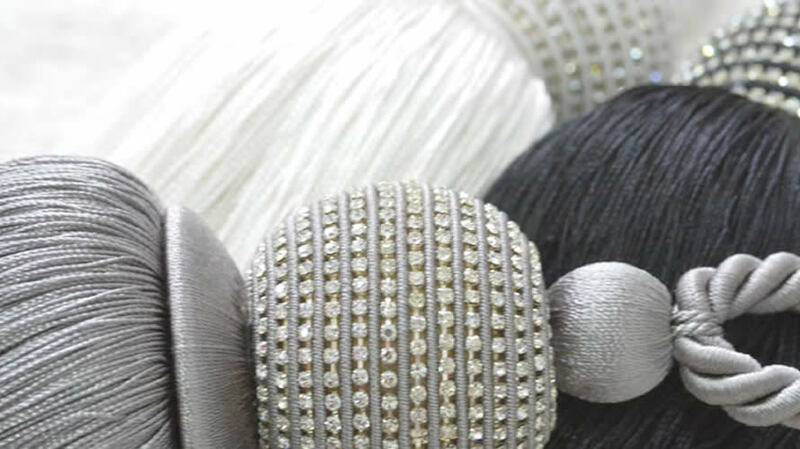 Sleek and stylish together with an element of fun this luxurious tieback makes any window display dazzle. The delicate matching trim is perfect for any roman blind needing a little glitz without making a bold statement. Beige, Black, Pearl and Silver.